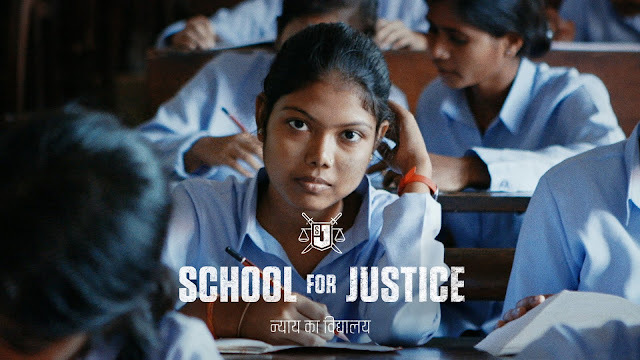 The first students at India’s School for Justice - an initiative devised by J. Walter Thompson Amsterdam – have started studying for the first round of exams. The School for Justice trains girls rescued from child prostitution to become lawyers and public prosecutors with the power and determination to prosecute the criminals who once owned them. This ground-breaking initiative is lifting the lid on some of India’s taboos around child prostitution - whilst empowering some of India’s most disadvantaged girls through education. These young women are part of the first class of 19 students who currently live on-site at the school and are studying to be accepted onto the law course at one of India’s best universities (the name is not being publicised to protect School for Justice students). Once accepted, they will be supported throughout the five-year degree course, when they will qualify as lawyers. India has the most underage girls trapped in prostitution in the world, with over 1.2 million children forced to work in illegal brothels. Despite the magnitude of the problem, the amount of prosecutions is incredibly low. In 2015 there were only 55 legal cases that led to convictions. Poverty, the gender imbalance, and the caste system are driving factors leading to the current situation. Among the first intake is Dolon, who was sold to a brothel in New Delhi, where she was both mentally and physically abused; and Sabna, who was just nine years old when she was forced into prostitution. As a physical manifestation, the school is educating girls – and as a communication construct, the school is already changing opinions and perceptions about the victims of child prostitution in India.